I have long admired the brilliantly designed menswear of Cerutti. Have a look at some of the runway show. Bear with the few moments of "behind-the-scenes"...then enjoy the fashion. I especially like the cut of the jackets and coats..the longer shirt silhouettes, the interesting narrow collars, and the "mesh T over dress-shirt" look. Video: Cerruti Fall/Winter 2009/10 Men's Wear during the Paris Fashion Week on 23 January 2009; by ErichBen youtube.com/user/ErichBen. 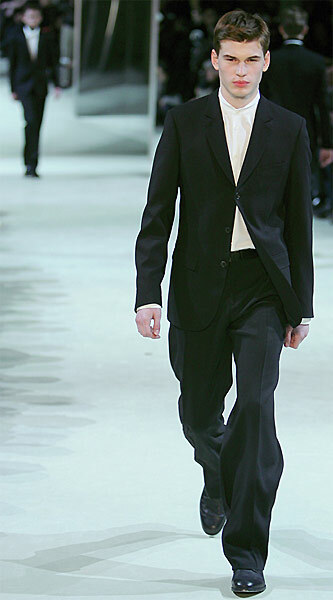 During the Paris Fashion Week in January 2009 Cerruti presented the second men's wear collection created under the art direction of the Belgian Jean-Paul Knott and the new Cerruti president Florent Perrichon. "How did you define 21st century Cerruti man and woman? Florent Perrichon: I haven't made a distinction between man and woman, they are a common concept, a global citizen. Jean-Paul Knott: Man or woman, each is contemporary." The Cerruti man fall/winter 2009/10 is defined as "... approachable and caring, treasuring uniqueness and individuality. He is active, easy with an aesthetic and natural elegance and always sensitive to his surroundings. The values of details, quality and feel are essential for the Cerruti man." Jean-Paul Knott has created the Cerruti collection around three feelings that reflect the various moments in live and define dress mood: dawn (morning, bright colors), noon (colors of fog and stormy greys), and dusk (wine red, dark brown - the colors of the sun, just before night begins). One of the highlights of this collection is the 'Caviar'-fabric: a classic plain weave with contrasted colours, which gives the visual effect of regular dots. You will find out that this collection offers two edgy trousers styles: the drainpipe trousers influenced by the Beatnik Generation, and pants with bell-bottom combined with a narrow cut jacket. In 1881 the spinning and weaving label Cerruti was founded. In the 50ies Cerruti began to cut and sew the fabrics. The first men's wear collection designed by Nino Cerruti was presented in 1957. The concept was to create 'luxury ready-to-wear'. In 1967 the first 'Cerruti 1881' boutique opened in Paris. In 1976 'Cerruti 1881 Femme' premiered. Since 1978 fragrances accompany the Cerruti style; often inspired by the fabrics Cerruti is famous for. Since 2007 the Belgian Jean-Paul Knott is the artistic director of Cerruti; Knott founded his own company in 2000, was creative director of Krizia (2002), Louis Féraud (2004)... Check out more on his own site jeanpaulknott.com. In 2008 Florent Perrichon was named the president. More about Cerruti www.cerruti.com. 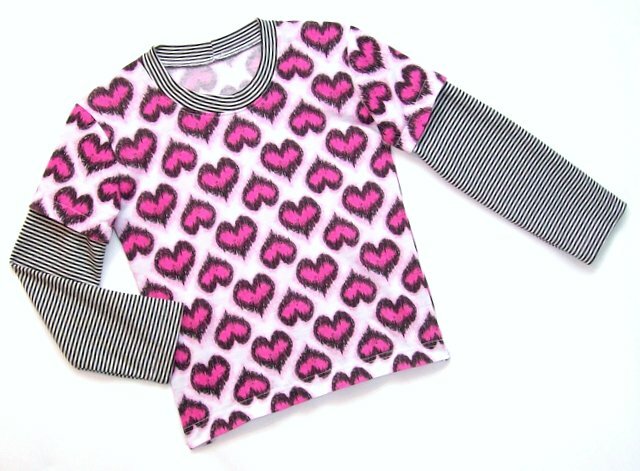 This very simple, fun top was made for my niece Bella. Perfect for her often tomboy-like personality. Rumor has it that it was a very big hit among her second grade class-mates...! This weekend I am back to making custom shirts for men. I am working on an interesting one now that uses the right and wrong sides of the fabric. I need to get it in the mail Monday morning, so it's time for me to get back to work! There are shirts to be made and Interfacing orders to be cut, packed and shipped...after a cup of coffee (or two, LOL). 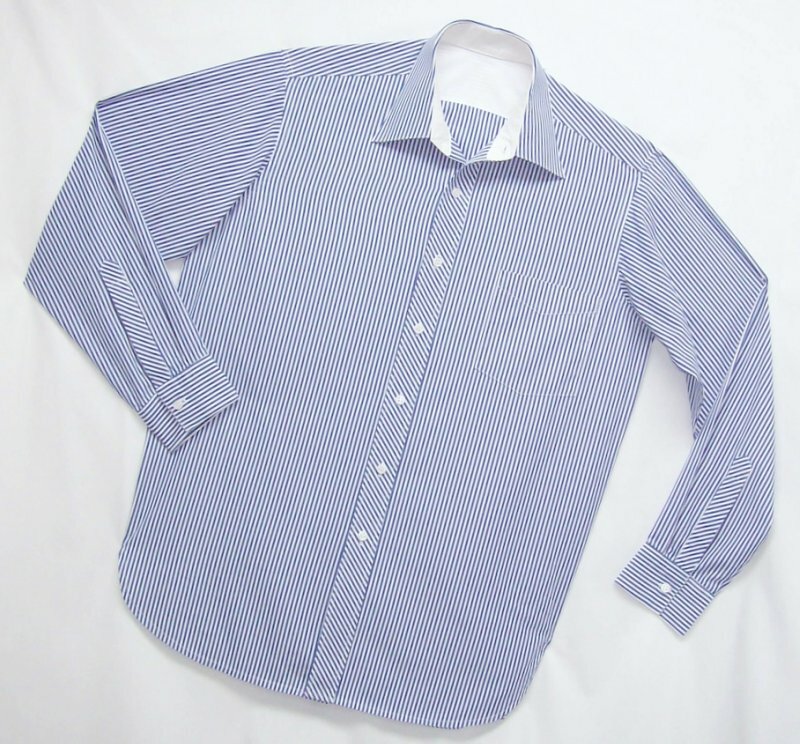 This shirt has a collar pattern that combines both the collar and stand as one pattern piece. 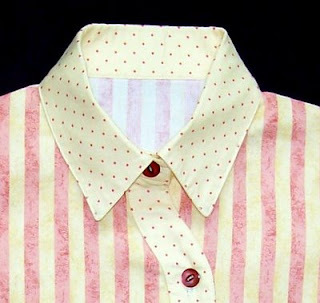 While I would normally redraft the pattern to separate the stand from the collar, this time I decided to sew it "as is"....since it seems to be making a come-back in many shirt and blouse patterns. While this "combined" collar rarely rolls nicely and tends not to hold its shape well...there are some ways to make it work. 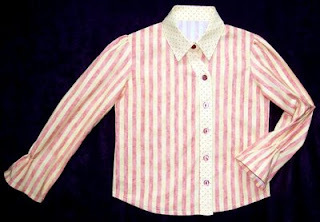 First, fuse Pro-Woven Shirt Crisp Fusible Interfacing, cut on the BIAS to the UNDER Collar. 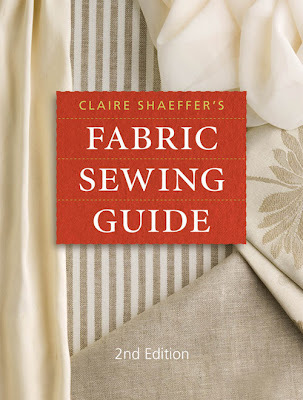 Notice that the seam allowances have been trimmed from the interfacing. 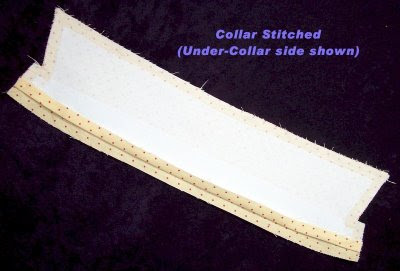 Cutting the interfacing on the bias will "encourage" the collar to roll smoothly. 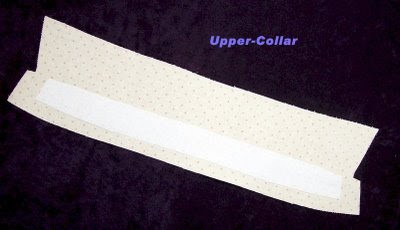 Next, Fuse a strip of Pro-Woven Shirt Crisp Fusible Interfacing, cut on the STRAIGHT grain, to the "false" collar stand area of the UNDER Collar, as shown below. Fuse it right on top of the first Interfacing. Now, on the UPPER collar piece...fuse a strip of ProWoven Shirt Crisp Fusible, cut on the STRAIGHT grain to the "false" collar stand portion of the piece, shown below. 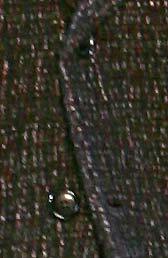 ONLY the "stand" is interfaced on the UPPER collar. 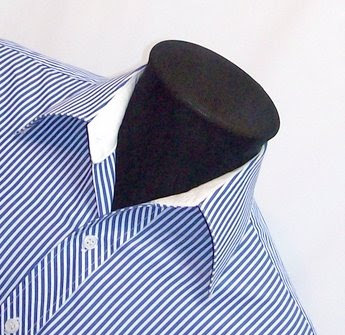 When the collar is stitched, the extra strips of ProWoven Shirt Crisp Fusible Interfacing that were fused to the "false" stands, add extra body to the area, and act like a "hinge". 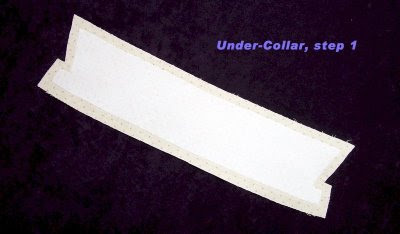 This encourages the collar to roll into position as naturally as possible with this kind of "all-in-one" collar plus stand draft. I am always thinking about new shirt designs (this may give you some idea about how exciting my life is, LOL). Anyway.... I've been wanting to draft a shirt with an off-set, curved placket. So, I was pleasantly surprised when I found an Ottobre Design pattern (Issue 04/03, #14) with these details. I'll hand-draft an original design with similar details for myself soon, and I have some ideas to turn this style into a mens shirt too! Valentines day will soon be here! 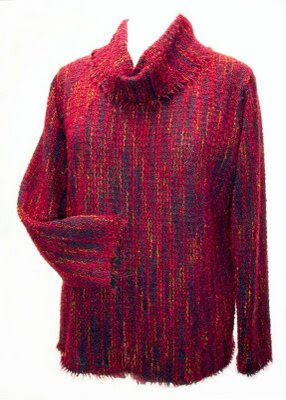 ...and how nice to have something bright and happy to wear during these oh-so-cold winter days! 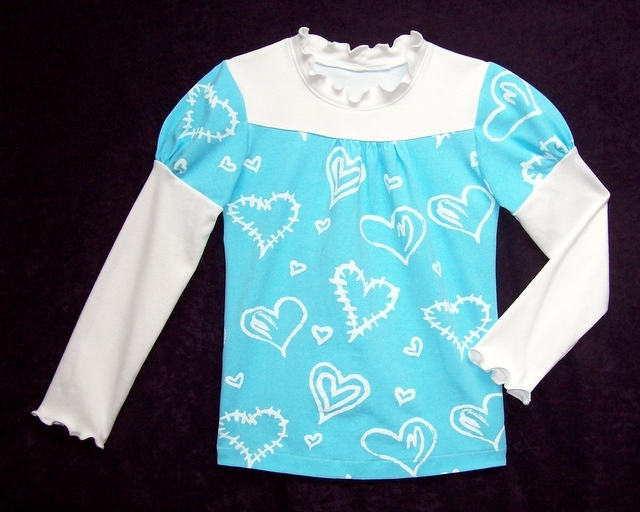 This top was made for my niece Willow, using an Ottobre pattern that I modified with my own design details. This pattern is one of my favorites, #14, from issue 01/08. Now I really MUST turn my attention back to menswear...I have clients waiting for shirts!